Registration is free and will allow you to order items online, check auction results, and bid in our Mail Bid Sales. Eldert Bontekoe is the founder of Pegasi and director of the Pegasi headquarters in Ann Arbor, Michigan. Mr. Bontekoe is a published author, speaker, a professional numismatist for 30 years, and a collector for longer than he will admit to. Eldert began his professional numismatic career in 1970, working part time for a local coin shop. In 1972, he started his own business selling US, ancient and medieval coins. In 1982, he spun off the ancient/medieval arm as a separate business, taking the name Pegasi for the first time. Ultimately, his interest of classical and medieval coinage and antiquities overwhelmed the more commercial US coin business and he soon turned his attention full time to Pegasi. Eldert specializes in Ancient Greek and Medieval coinage and related antiquities and is an authority on the coinage of the Crusader States, historical jetons from the Low Counties, and the classical bronze coinage of Syracuse. Nicholas Economopoulos is director of the East Coast Office in Pennsylvania. He holds advanced degrees in Classics and Classical Archaeology and has been a numismatist for 37 years. Nicholas heads-up the wholesale division of Pegasi and attends every major coin show in the United States. He specializes in all facets of Ancient coinage and is an authority on the coinage of the Byzantine Empire. 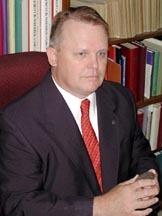 Dr. David Sorenson is the chief numismatist and principle cataloger of Historical Numismata. David has been collecting medieval and world coinage for over 30 years. He holds an earned doctorate in history from Cambridge University, where he published his thesis on "The Coinage and Monetary Economy of France under Charles VI". He is an internationally recognized expert on the coinage of this period. Dr. Sorenson is a published author and speaker on Medieval coinage, especially of Charles VI of France. Fred Knust is the internet sales manager of PegasiOnline. He brings forty years of numismatic experience to this website. 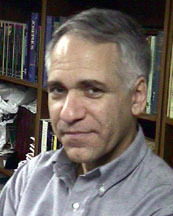 Fred holds a masters degree from Michigan State University and a BA from the University of Michigan in Far Eastern Studies. 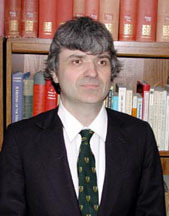 Fred"s numismatic background includes over twenty years experience as a dealer in Classical Oriental and Western coins. 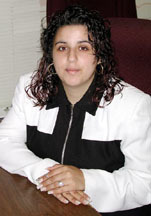 Rania Samaan is the office manager for the Pegasi headquarters. She is in charge of our accounting department and can arrange payment procedures and can handle special shipping requests.